Small businesses are often looking for ways to reduce and control their costs, and for many, a major concern is the cost of printing. In fact, this is the case for 22% of small businesses who are worried about the cost of office printing (Fuji Xerox Printers 2016 Customer Insights Survey). The truth is, printing costs can in fact account for up to 6% of business revenue, which for SMEs is a significant amount of money. 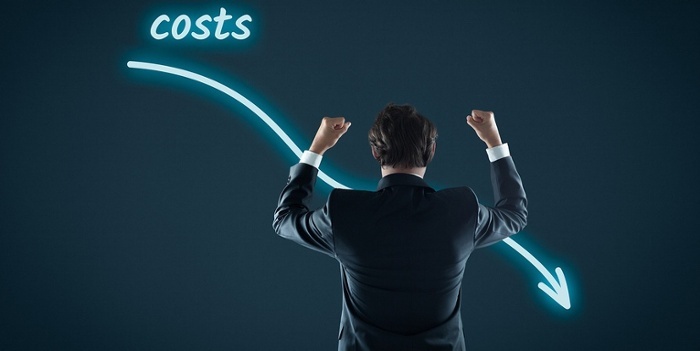 If your business is looking to control printing costs, look no further than this article. Here we will discuss how SMEs can control their printing costs through three simple and cost-effective measures. Are you aware that you can have better control of your printing costs through the help of Managed Print Services (MPS). MPS engages third party assistance for the management, maintenance and support of your office printers and its consumables. The main benefit is that your printing costs are known in advance, making it a cost you can budget for and factor into your cashflow. Furthermore, research indicates that an MPS contract can reduce your small businesses’ printing costs by up to 30 per cent. Not only that, but it also reduces time wasted on ordering consumables or dealing with any technical issues. This frees up more time for your staff as well as your IT department, allowing them to focus on more important technological issues like data security. In terms of cost, MPS is generally charged on a monthly cost per page basis. This can be as low as 1 cent per page for black and white, or 10 cents per page for colour. The great thing about introducing an MPS solution is that there’s very little initial outlay, which can be a big benefit for small business. You’re not really saving money. Perhaps one of the main reasons small businesses choose to purchase non-genuine toners for their printing devices is because they believe it is saving them money. While it is true that the upfront cost of non-genuine toner can be cheaper than genuine toner, in the long run your printer and your business will suffer. So what is the difference between genuine and non-genuine toner? Genuine toner cartridges, also known as OEM cartridges (Original Equipment Manufacturer), are cartridges that are explicitly made by the company that manufactured your printer. OEM toner and cartridges are built to work with your individual printer, whereas non-genuine or remanufactured cartridges aren’t. Non-genuine toner is created by a third party supplier that will tell you their toners ‘fit’ with certain printers, when in truth, they don’t. Usually, non-genuine toners are recycled from used toner cartridges with parts replaced by lesser quality components. There are a few major differences when it comes to genuine and non-genuine toners in terms of cost. First of all, non-genuine toners deplete much faster than genuine toners, meaning you will be spending more money in the long run as you will need to more frequently replace your toner cartridges. Secondly, non-genuine toners will more often than not deliver sub-par print jobs, which doesn’t represent your company well. Poor quality prints make your work look unprofessional, and can also make you look inferior to your competition. Furthermore, using non-genuine toner can permanently harm your printer, leading to lasting damage to your device, not to mention loss of productivity due to machine downtime. Is it worth losing out on valuable business just to save money on printer toner? The truth is non-genuine toners cost significantly more in the long run, so if your business is looking to save on printing costs, it’s time to start purchasing genuine toners. Most small businesses are probably guilty of only considering the buying price when it comes to purchasing a new printer or multifunction device. When the price is just right, it’s easy to be fooled into thinking you’re getting the best deal. However, if your small business is serious about controlling its printing costs, it’s time to look beyond the buying price. Before you invest in a printer you need to consider all the costs involved – from purchasing to actually running the device. Take a car for example. Just like a car needs petrol, servicing and maintenance, a printer needs toner, paper and servicing. Costs slowly add up over time and you could end up paying much more for your printer than you anticipated. That’s why it’s important you look at the total cost of ownership (TCO) when investing in a printer. Taking the time to understand the TCO when buying a new printer or multifunction device can aid in preventing unnecessary financial or productivity loss for your business.